Behavior problems are the number one reason that owners give up a pet. The Village Animal Clinic offers behavior counseling for many of your pet's problems including inappropriate urination or defecation, aggression, separation anxiety, inappropriate chewing and barking, and introduction of new pets into the household. Dr. Holly Cheever has pursued many years of continued education in order to be proficient in many behavioral issues in dogs and cats. Our veterinarians will work closely with you to understand the source of these behavior issues and develop a specific plan to help eliminate your pet's unwanted behavior. Often the behavior problem, such as inappropriate voiding, can be linked to a medical issue (such as cystitis, bladder stones, or kidney disease) and can be treated medically. For other behavior issues, the treatment plan often includes behavior modification and may include medication-assisted training. If our veterinarians and technical staff members cannot help with your pet's behavior problem, we can refer you to a board-certified animal behavior specialist. 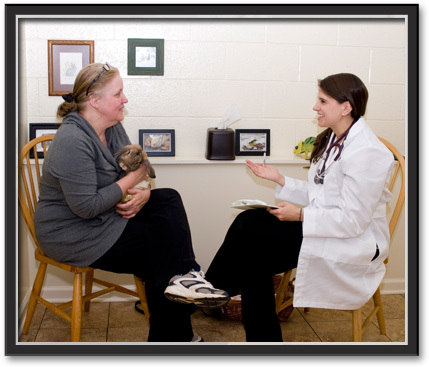 The Village Animal Clinic offers prescription diets and nutritional counseling for your pets. Why is this important? Pets are living longer, healthier lives than ever before largely due to our expanded knowledge regarding the importance of proper nutrition to overall health. Nutrition is the biggest health variable controlled by a pet's caregiver. During your pet's comprehensive physical examination, we can evaluate his or her body condition and give recommendations based on what we see. We can offer nutritional counseling appropriate for the life stage of your pet, illness-related diets, weight loss, and allergy-related food concerns. Some pets have more serious nutritional challenges or chronic conditions that can benefit from a special diet. Pets with liver disease, intestinal problems, bladder and kidney stones, renal failure, food allergies, and diabetes can lead healthier lives on these foods. For most pets, our recommendations include information on proper serving size and other feeding strategies to maintain optimal body weight and nutritional health. We also help you understand the claims made by pet food producers so you can make the most informed choice. We carry the full line of Hills brand prescription foods. Euthanasia and tending to your pets' remains are two of the most difficult issues for many people to consider. Asking the question means confronting fear, guilt, and grief. Euthanasia methods are designed to cause minimal pain and distress. Talk to a veterinarian or staff member at The Village Animal Clinic about pet euthanasia long before it becomes an issue. Find out about your options, make some key decisions ahead of time, and ask us to add this information to your pet's record. 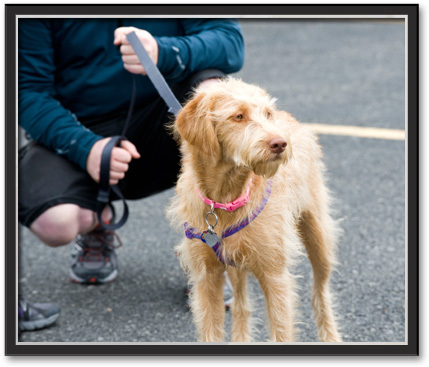 Taking the time to plan, as challenging as it may be, will lessen the pain and discomfort for you and your pet in the event this option ever has to be considered. Ask us about our crematory and burial services. All of us at The Village Animal Clinic will do our best to help you prepare for these important issues with the compassion and sensitivity they require. An important piece of ensuring that veterinary care is accessible to all of our clients is through the lost art of the veterinary house call. While The Village Animal Clinic has a state-of-the-art facility that is both a safe and welcoming place for you and your pet, we still believe there are some situations that require services best provided in the comfort of your own home. Quite simply, there are times when it is better to bring medical care to your pet than it is to require you to bring your pet to our facility. Some pets simply do better in their own homes where they are more comfortable and less likely to become agitated or anxious. Some pet owners have limited mobility making veterinary visits difficult at best and impossible at worst. Our house call service means you and your pet can remain at home, where you are most relaxed and comfortable, and receive a personal visit from one of our veterinarians and a technician. Services we are able to provide include wellness examinations, vaccinations, routine medical care, blood draws for laboratory testing, and other general services that do not require diagnostic or other medical technology. Certainly the most difficult, though important house call we make is when a beloved pet has reached his or her last day. Being at home, surrounded by familiar and loving faces with a trained professional helping to ease a sick or aged pet from this world, is an important aspect of veterinary care. If medical necessity requires, we offer boarding for his/her scheduled stay. Full grooming services are available for dogs and cats. We also offer nail trimming for all animals and wing trimming for pet birds. It is important to us that clients feel comfortable at all times while waiting to see one of our veterinarians. To better serve you, The Village Animal Clinic offers clients coffee, tea, soda and water in our lobby area. We also have a Nintendo 3DS available for children who accompany their pet to the "doctor's office".